Beech Mountain Resort will be open every Friday through Sunday this summer and early fall, beginning June 6 and running through Oct. 19. This year, Beech Mountain Resort is offering several new features unique to the area, including revamped downhill mountain biking trails, a newly renovated brewery, mountain biking lessons, 18 holes of disc golf, and a sky bar, with observation deck, open to the public at the top of the chairlift. · Eighteen-hole Disc Golf Course - The region’s first chairlift-accessed disc golf course hosts multiple tee locations accommodating all skill levels. Expect unique tee locations, Innova Dispatcher Pro Targets, and a picture-perfect “Signature” Hole from this professional level course. Walk the course for free, or use the lift to better access some of the upper holes. Learn more here. · Magic Cycles re-opening – Based out of Boone, NC, and in its 21st year of operation, Magic Cycles returns to Beech Mountain Resort this summer, offering biking products, Santa Cruz, Giant Downhill, and Trail Bikes for rent, and service and repair work. · Beech Mountain Brewing Co. renovated – The newest craft brewery in Western North Carolina just got better. Enjoy a flight tasting, and several distinct ales brewed onsite in Alpine Village. Find out more here. · 5,506’ SkyBar – Take a scenic lift ride to the top of the mountain to find 5,506’ – a newly-constructed facility, hosting panoramic views of the Blue Ridge Mountains in a cozy, glass roundhouse. Unwind with food, drinks, snacks and the best view in the high country. Need to relax just a little bit more? Join us for a yoga class and a beer on the SkyBar Deck – details pending. Find pictures of 5,506’ SkyBar here. · Scenic lift rides – Take in the stunning view of the highest ski area in eastern America with the whole family. Purchase a single lift ride for only $10 or an all day pass for $30. 12 and under tickets are $7 and 4 and under ride FREE with a paid adult. Find out more here. · Mountain biking – Newly updated trails cover a wide range of skill levels, challenging riders from novice to pro. Lessons and guided rides available. Season passes will be on sale for $200 and can be purchased in Ski Beech Sports during operational hours. All day lift passes are $30. Review our Scenic Lift Rides. page for chair lift rules and regulations. 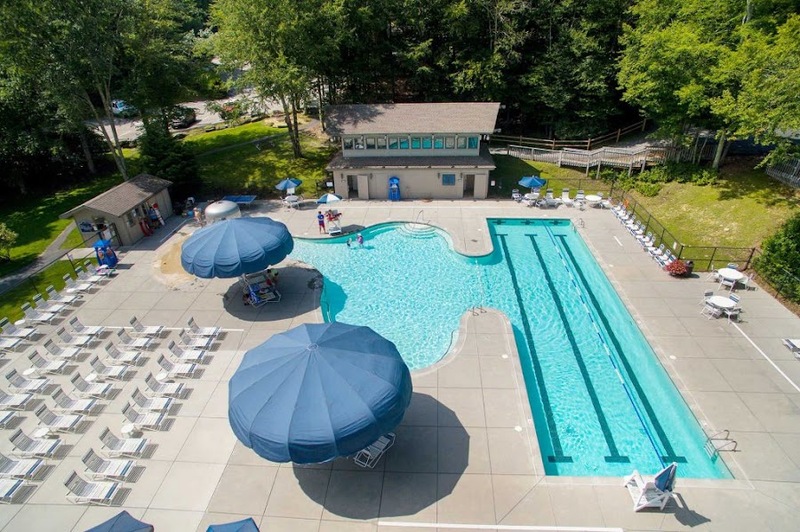 If you’re looking for a relaxing time with friends and family over a great meal and a good drink or a challenging ride or game, Beech Mountain Resort has exactly what you’re looking for, all encompassed by the breathtaking Blue Ridge Mountains. For more information, please visit www.beechmountainresort.com or call 1 800 438 2093.